Our school is quite small but is an important place in a rural area. Our school is deemed a 'Vreedzame school' (peaceful school) because we have many children from different countries. Our multicultural 'Vreedzame school' prepares children for a diverse modern society. We want to start a project that promotes anti-xenophobia on a child friendly way. 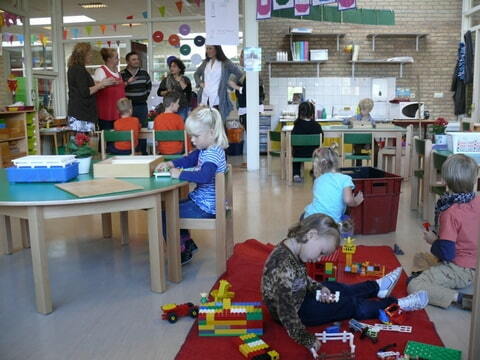 We will use our experiences and work together with other European primary schools and share results. We have an extra ordinary time table so that our pupils work, play and eat together during the day. 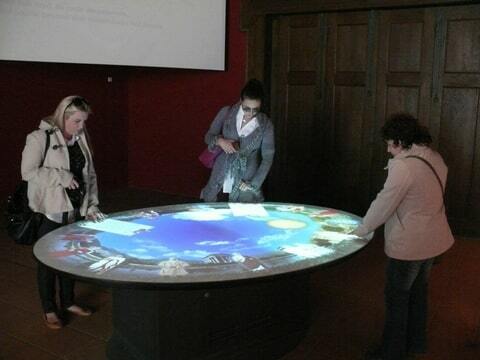 Now we have in development the start of working with “tablets” with all our children in the classrooms. 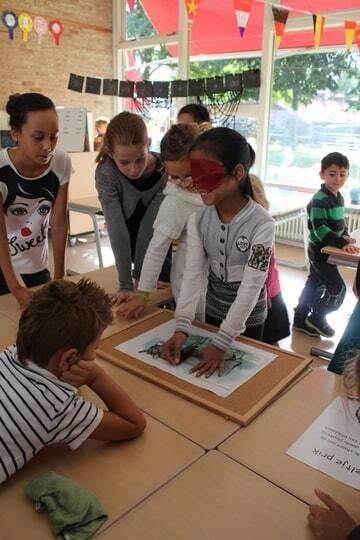 This is the first time that we work with other European schools in a partnership. More information: see our website. at Het Palet in Opheusden in Holland. On Sunday the 14th of September arrived the teachers Sarah and Claire from Bray Ireland, Christine and Joseph from Gozo in Holland. On Monday morning they went first to Het Palet in Opheusden. There they met the teachers and the pupils from the school. The director the school Mrs. Diana Brouwer showed them the school and informed them about the school times “continue rooster” and the new tablets with which the pupils worked. The guests also where interested in the school system named “Vreedzame school” Peaceful school . Pupils from the higher grades are trained to be mediators. They foreign teachers were surprised by the atmosphere on the schoolyard during the break, children played on several places and there were no incidents. Later they had an interview with four v pupils who are trained to be mediator. After the break they had their presentation of their schools and their country in all the classes. Teachers and their hosts liked these presentations very much. 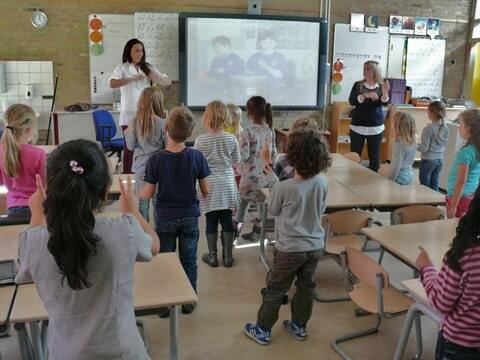 The pupils reacted very spontaneous on the stories and songs they heard. Elena explains how she works with the results of the pupils who worked on the tablets. Information about Valetta on Malta by Joseph. 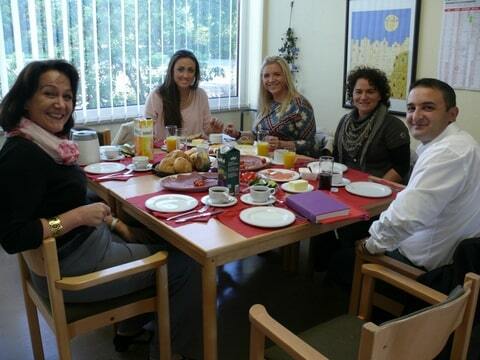 The teachers felt welcome at the school, they liked the open atmosphere. After the lunch the guests went with the coordinator Mr. Anton Verwey to Xanten in Germany. There they visited the Roman museum and the old Roman city. The next morning they went to the other partner school KGS Mariënbaum. There the guests had a wonderful breakfast. They liked this small school with the Kneipbecken very much. 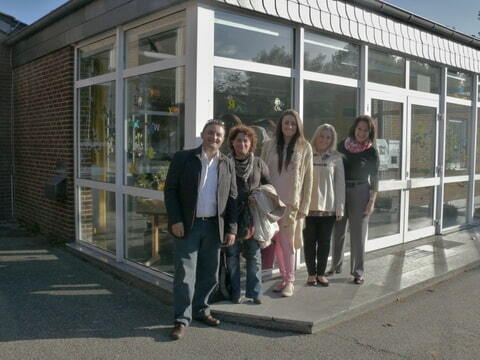 The director Maria Evers informed them about the school system en showed the school to her visitors. On Wednesday there was a meeting in Opheusden. There the teachers of the school and he teachers from the partnerschools met and they talked about the program, the coming visits and the way how to communicate. They even had plans to correspond with pupils. There were some suggestions of sending postcards and Skype with classes. 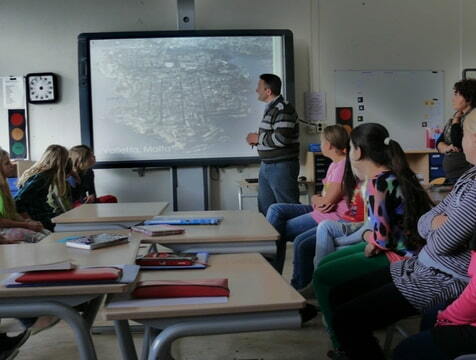 Also there was an introduction of the website by Willy Bogards, the ICT teacher of Het Palet. She showed everyone how to fill in the pages about our Project PAXEP. In the evening there was a dinner at the house of the coordinator. 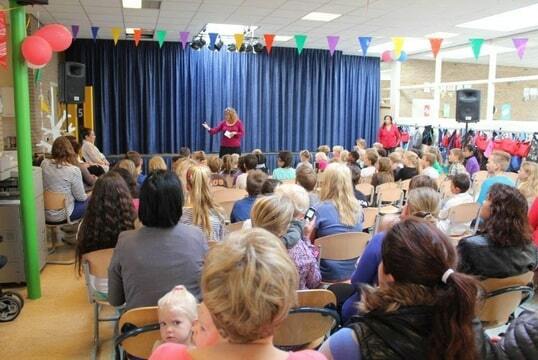 On Thursday the 19th of September there was the nice and good presentation of the Dutch school. Owing to the item of the project ( a society is busy with its daily things, and then suddenly there are persons (strangers) coming….) children had a play on stage. 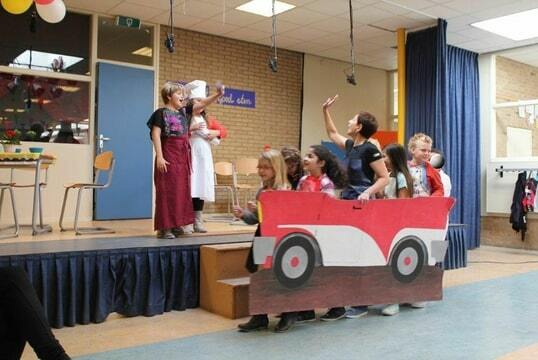 They performed the situation of a Dutch restaurant. Nobody wanted to eat there, all the guests went away because they did not like the things on the traditional Dutch menu: pancakes and pie soup. 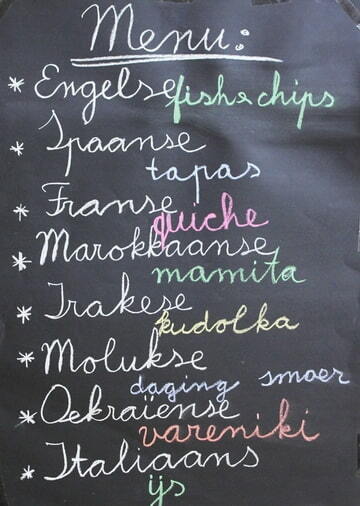 The owners of the restaurant , named “Lekker Eten” were very sad about that. After the performance all the children, teachers, parents and the guests from Gozo and Ireland went to the classes where they had all kinds of food, made by the parents, that was on the menu of the restaurant. /source}There were also game from the other countries. 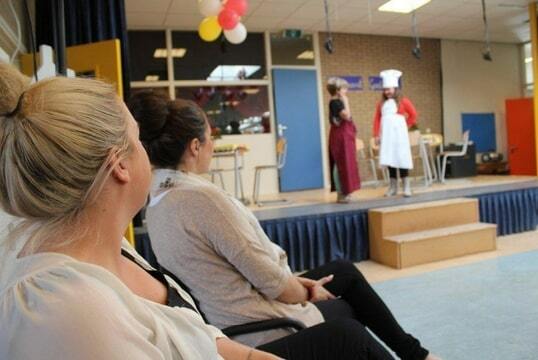 Everyone enjoyed this festivity at the Dutch school het Palet in Opheusden. At the end there was an evaluation with the staff and the visitors during a good lunch that was served by the housekeeper Marga. 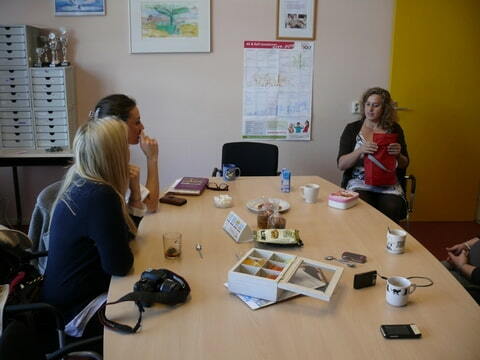 The mobility to the Netherlands was very successful – teachers are looking forward to go to the other schools. The first meeting will be in Ireland Bray in September – October ’13.